Photoshop brushes are a highly useful asset when working on digital artworks or designs because they can make certain tasks easier. Of course there are thousands of Photoshop brushes available on the net but sometimes you’ll need and want to make some yourself. In this tutorial we will show you the technical steps you need to know in order to do so. The first thing to have in mind when creating Photoshop brushes is that the background of the image you’re turning into a brush has to be white. 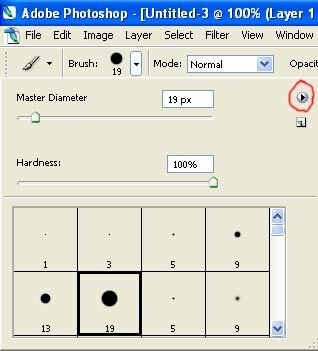 Photoshop will view any other color as part of the brush pattern, so when making a brush be sure to convert the image to grayscale with a white background and erase any unwanted pixels. 1. 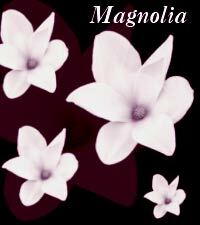 For the purpose of this beginners tutorial on how to make Photoshop brushes we’ll start with some basic shapes that we will sample from a photo of a magnolia. 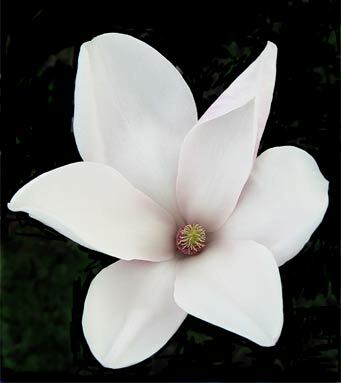 Granted this is just a flower, but since this is just a simple lesson showing you the technical “how to” it won’t matter anyway. 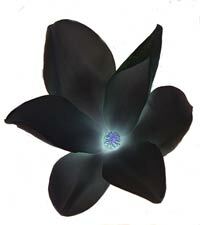 Now in this case where the backgorund is black and the object (the flower) is white, the simplest way to make a Photoshop brush out of it is to just invert the image (CTRL+ I). 3. Now it is time to save our brush. 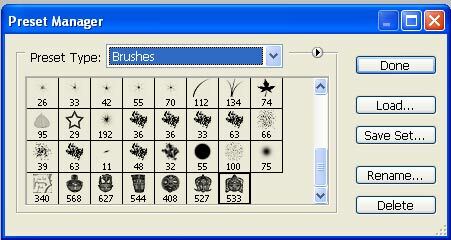 Name your newly created brush whatever you like and then click OK.
4. Now that you have saved your brush (and are able to use it), you can go on to make more brushes and then put them in a brush set for sharing. Click on the space marked on the picture. This will open the brush preset picker. 5. Click on the circle where you will get a menu. 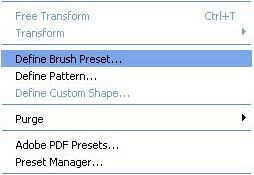 Once you get the preset manager box CTRL and click every brush you want saved in the set. 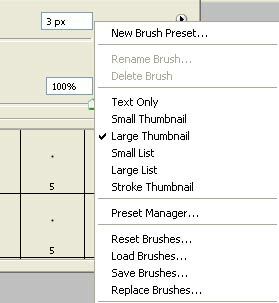 Once you have chosen all of the brushes you want to put into one collection then click “Save Set”, choose the name and place you want it saved in and you’re done! This tutorial has taught you the basic technical steps you need to learn in order to start making Photoshop brushes, but in order to make quality and useful brush sets, then move on to part two of the tutorial “How to make grunge Photoshop brushes”.